Invitation to the Annual Open Meeting of the DAI Athens. 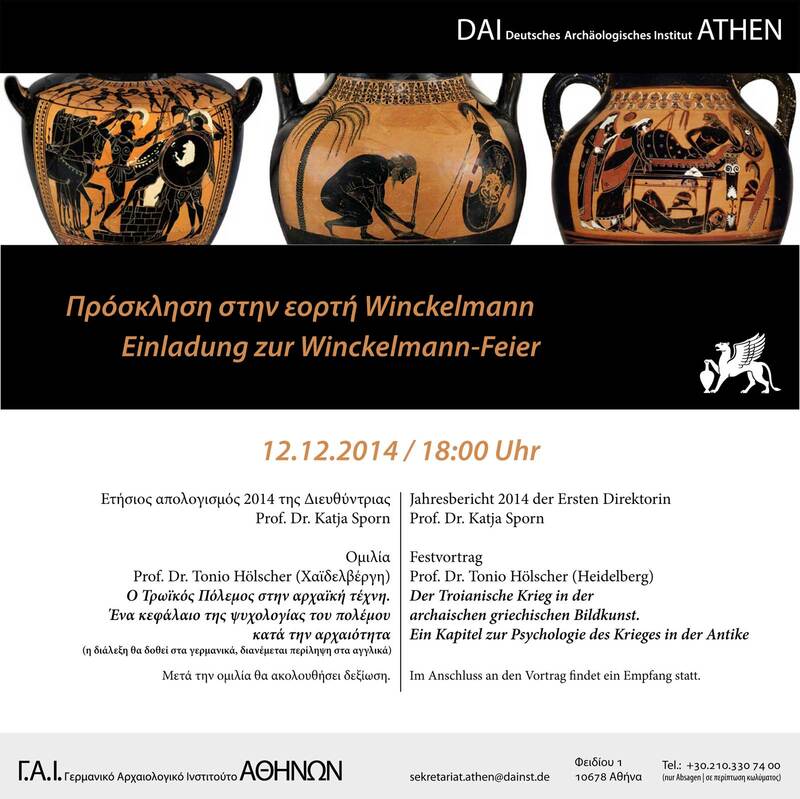 This year’s Annual Open Meeting of the DAI Athens (Director’s Annual Report and Winckelmann Lecture) will take place on Friday, 12th December 2014, at 6: 00 p.m. The lecture will be held in German, an abstract in English will be distributed.